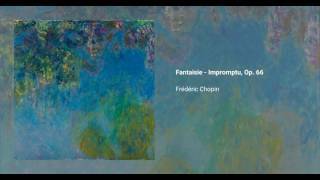 Chopin wrote his Fantaisie-Impromptu in 1834 and deducated it to Julian Fontana, who published the piece despite Chopin's explicit request not to do so. 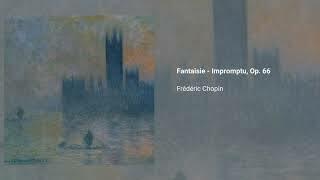 The Fantasie-Impromptu draws many elements from Beethoven so called Moonlight Sonata, also in C sharp minor. It has been said that the piece is a rare instance in which a genius discloses what he actually hears in the music of other genius. The piece, now catalogued as Op. posth. 66 is one of Chopin's most popular and most performed compositions, and it has appeared in TV, film, and radio many times.